Nothing warms up your day more than a delicious warm sweet roll. 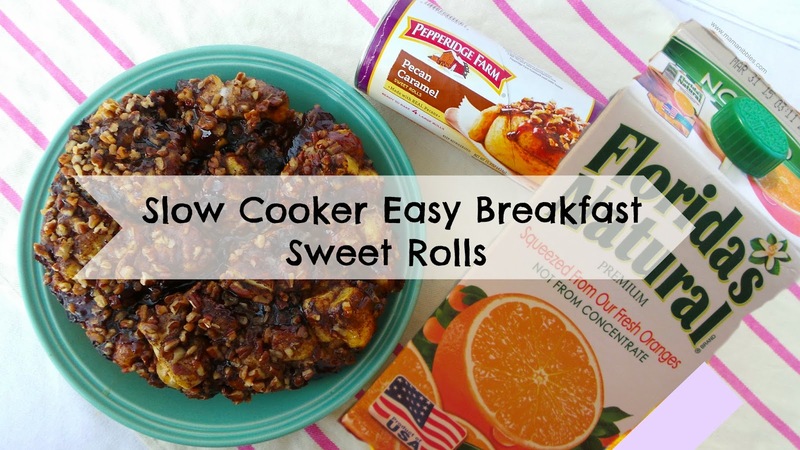 One of my favorite things in my recipe box of easy breakfast ideas are sweet rolls. I remember my mom making cinnamon sweet rolls homemade when I was a kid, she made almost everything from scratch. She would work in the kitchen for a few hours a day and I have no idea how she had the time or patience with my sisters and I running around. Let's just say we were very energetic kids ha! These days I just don't have the time to spend in the kitchen like that, as much as I'd love to. Our family is very active outside the home with sports, dance, and the gym. I enjoy the fact that I can run out to Walmart and pick up a couple rolls of delicious sweet roll dough, makes life more simple and is as good as homemade. Pepperidge Farm Sweet Rolls were available at my Walmart and wow are they good! I've made them as-is as well as transforming them into something even more phenomenal. I found mine right by all the other refrigerated dough and refrigerated cookie dough at my Walmart, not too far from the orange juice refrigerators. I purchased some 100% Florida orange juice to drink with our sweet rolls as well as turn into a glaze for over the top. If you make this recipe be sure to look for the $1 off coupon tear pad by the orange juice shelf for when you buy both the 100% Florida OJ and the Pepperidge Farm sweet rolls together.